Some of you have received a Winter Flowers first day cover like the one shown here from the AFDCS, with a cachet by Argineh Zadoorian﻿ -- one of the hottest current cachetmakers. 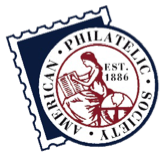 Inside is the annual AFDCS solicitation for donations; we actually use a postal collectible for fund-raising! If you didn't get one, it's because the mailing only went to new members and recent donors. Unfortunately, there are no extra covers available for sale this year. However, past year’s fund raising FDCs are still available. Click here to purchase.